By the 1840s, many of London's old parish graveyards had beome full to bursting point and an increasing health hazard, particularly to those living nearby. In 1850, a campaign led by public health reformers such as Dr Joseph Rogers resulted in legislation for the forcible closure of these graveyards. In 1856, Rogers became the medical officer at the Strand union workhouse on Cleveland Street where the parish of St Paul, Covent Garden, had a burial ground — recently closed — dating back to the 1770s. When excavations were made to build a new laundry on the site, he discovered that the builders had to dig through twenty feet of bones in order to reach solid ground for the foundations. To provide a new resting place for London's dead, a number of privately operated out-of-town cemeteries were set up. 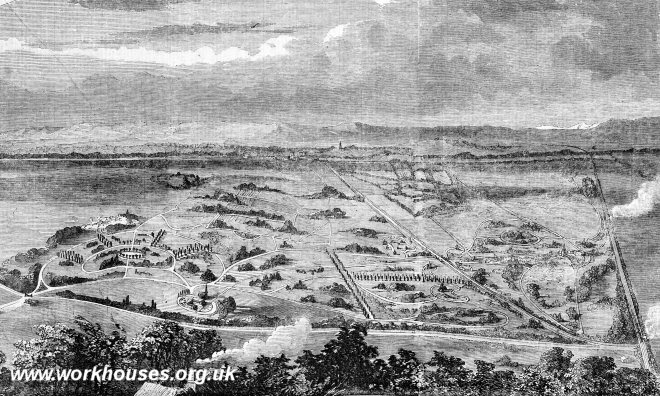 One of the first and most ambitious of these schemes was the London Necropolis opened in 1854 at Brookwood, near Woking in Surrey, some twenty-five miles from the capital. Brookwood's 2,000-acre site was, at the time, the largest burial ground in the world with enough space, it was said, to bury all London's dead for the next 500 years. An illustration of Brookwood Cemetery, 1856. 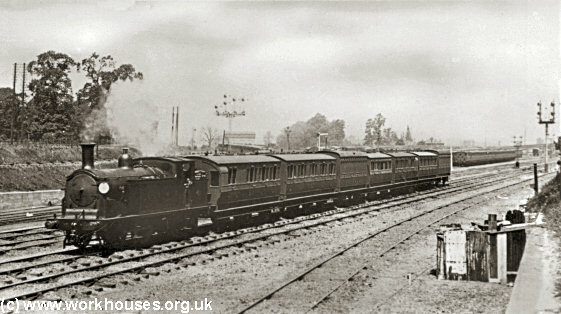 Brookwood ran its own funeral train service from a terminal at Waterloo, with a private branch-line to the cemetery's own two small stations. A funeral train en route to Brookwood, 1902. 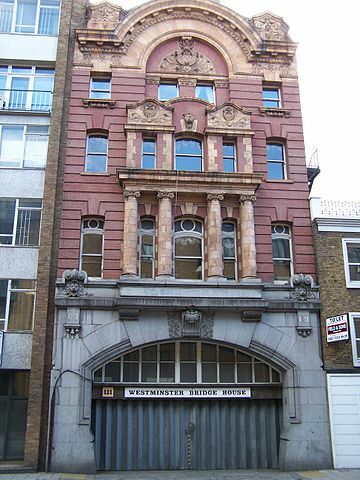 The remains of the entrance to the Necropolis railway terminus at Waterloo.